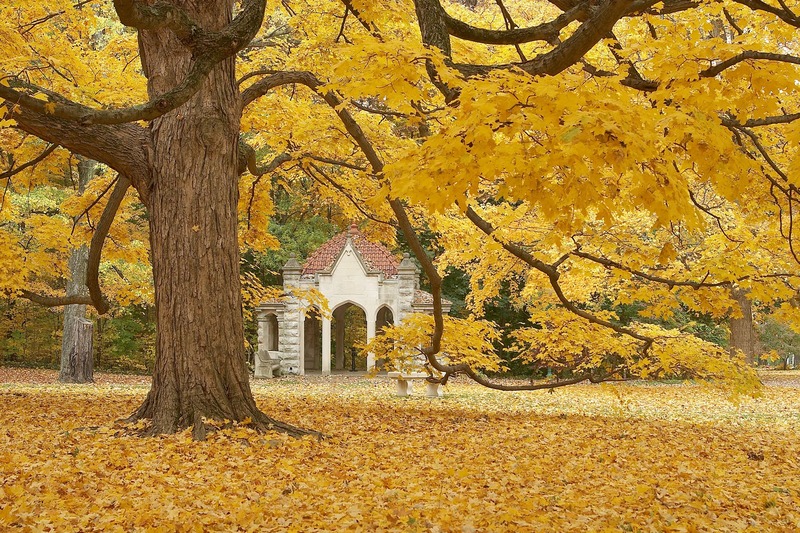 As fall comes to a close next week with Thanksgiving, I started thinking of the mystique that encapsulates fall and nothing else seems to sum it up quite like this beautiful photo of the Rose Well House on Indiana University's campus. The Rose Well House sits under a beautiful canopy of trees at the northeastern-edge of Dunn Woods. The beautiful little house covers the original cistern for Indiana University and was a gift from Theodore F. Rose in 1908. The building was constructed from remnants of the Old College Building and built in the shape of Beta Theta Pi pin. Tradition holds that a female student is not officially a co-ed until she has been kissed beneath its dome at midnight. I wonder how many young women enter the tiny space as girls and how many of them left as co-eds? The second legend surrounding this beautiful spot is that any couple who kisses in the Rose Well House at midnight on Valentine's Day will be together forever. It would make the perfect backdrop for a college romance, right? Ever wonder how a book get's it's cover? The Rose Well House is a place that captured my attention on a visit to IU. When I was searching for images that captured the essence of CUTTERS VS JOCKS I found this wonderful photograph by Kagan Tuncay, who graciously allowed me to use it for the cover of my book. 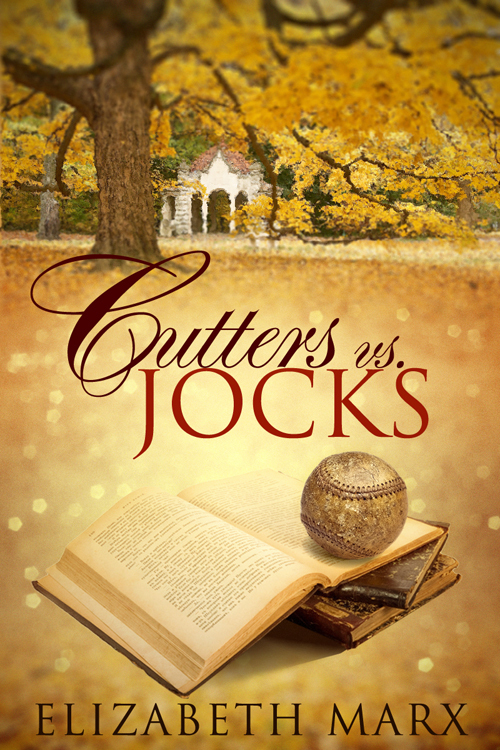 CUTTERS VS JOCKS IS STILL FREE for all ereading devices! BLACKFRIDAY SALE 50% off ENTIRE Store! - 12 hours only! Use code: BLACKFRIDAY50 at checkout. 12am EST 11/23 - 12pm EST 11/24.